We provide a variety of free educational programs to help you stay healthy. As your community hospital, you and your family can turn to us for the latest healthcare information and advice. To help you stay well, we provide several free community health programs that cover everything from catching health concerns early to preventing and treating chronic diseases. This free training provides a lifesaving skill. HealthTalk is a free community service that helps community members stay up-to-date on the latest health news and information. HealthTalks are available to local clubs, churches, community organizations, homeowner groups, businesses and other civic organizations. Contact us at (985) 280-8529 for more information. At Slidell Memorial Hospital, we believe it’s just as important to prevent disease as it is to diagnose and treat it. That’s why we offer HealthWorks, which brings medical expertise, screenings and educational programs directly to your workplace. We can help your employees detect potential health problems early and inspire them to make healthy lifestyle choices. Contact us at (985) 280-8529 for more information. This monthly educational series covers current healthcare issues and treatments. A light, healthy lunch is served, and free blood pressure screenings are available. Women's health issues take center stage at the Slidell Women’s Health Alliance Fall Seminar, a community event that features guest speakers, a fashion show and low-cost or free health screenings. The group also meets monthly. 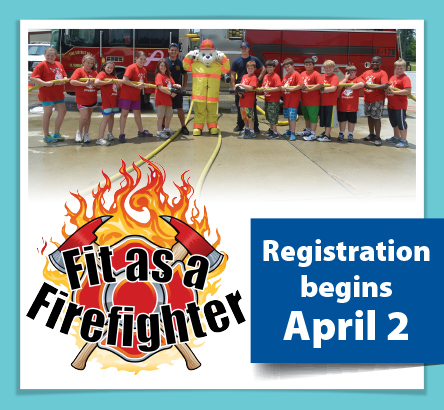 In partnership with St. Tammany Fire Protection District No. 1, this week-long day camp is held each summer for children ages 8 to 13. The camp offers fun nutrition and fitness activities to encourage kids to lead healthy, active lifestyles. Click here for our 2019 camp registration packet. This class is for girls ages 9 to 13, and covers the physical, social and emotional changes teens experience during puberty. Skin care and healthy eating are also explored. Teens must be accompanied by a female adult. This class is for boys ages 10 to 13, and covers the physical, social and emotional changes teens experience during puberty. Skin care and healthy eating are also explored. Teens must be accompanied by a male adult. Young teens (ages 11 to 14) learn everything they need to know to be safe when home alone watching younger siblings or babysitting. Topics include how to rescue someone who's choking and what to do if there is severe weather. Students practice CPR and choking techniques. Click here for our 2019 registration packet. The Cooking-up Healthy Options & Portions (CHOP) program empowers young people to make healthy eating choices and gives them the skills necessary to successfully navigate a kitchen. The Teen Health Expo focuses on the overall well-being of teens, including their physical, emotional and financial health. We’re happy to provide educational booths and screenings for local health fairs. Contact us at (985) 280-8529 for more information.